QU33R takes the Ignatz! published on September 15, 2014 Read more posts by the author of QU33R takes the Ignatz!, Dylan EdwardsNo Comments on QU33R takes the Ignatz! 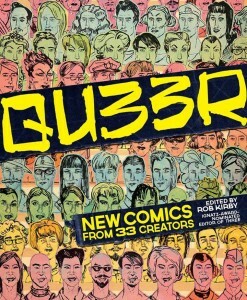 Just a quick note to mention that QU33R won the 2014 Ignatz Award for Outstanding Anthology or Collection! Big congratulations to our editor Rob Kirby, the 33 creators featured in the book (including myself, of course :} ), and Zan Christensen & Northwest Press!